Windows 10 Mobile is major improvements with CShell. The company is actually working on full Windows 10 OS for Mobiles with scaled UX. 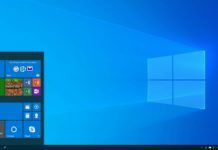 It will be done with new CSHELL, an ‘adaptive shell’ that scale Windows 10 to any form depending on the screen size of the device. 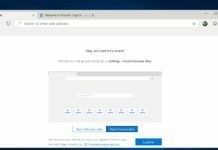 Last week, Microsoft accidentally released a build for Windows 10 Mobile to Windows Insiders in all Rings. The build had given us various traces of CShell ‘s presence on Windows 10. The other part of the Cshell is present in the form of an application appxbundle which also shows the details of the device on which it is stored making it a device specific component. 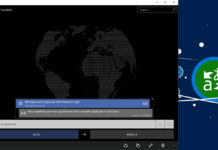 Cshell would be the successor to ShellExperienceHost, which is present in current Windows 10 operating system. The various components of this shell are the Action Center, the Ink Workspace, the Start menu, pop-ups calendar and clock, etc. This existing ShellExperienceHost is not present in any other Windows family from the Microsoft Ecosystem. CShell will be the major component of Microsoft aspiration of full Windows 10 OS with a UX scaled for Smartphones. 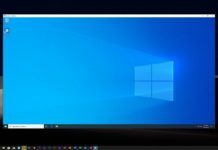 Today, Windows Central’s Zac Bowden has managed to get the build 16212 to run on HP Elite x3. 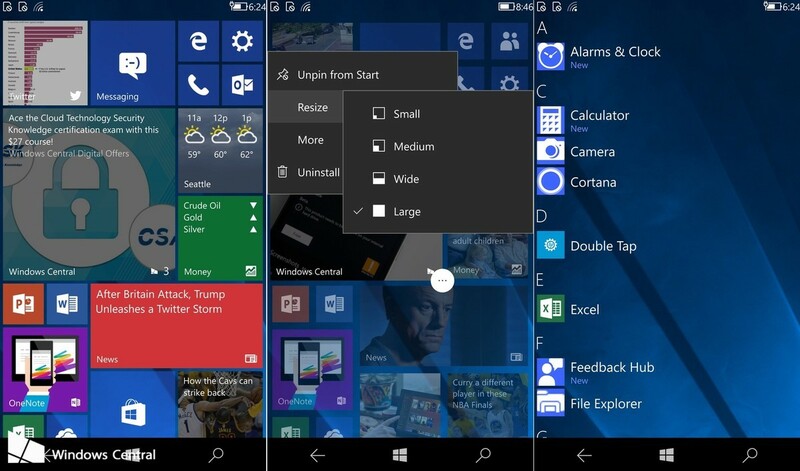 The start screen on Windows 10 Mobile is different than on PCs and Tablets. However, things will change as Microsoft has now adopted CShell that will help Microsoft build one shell that scales across form factors. 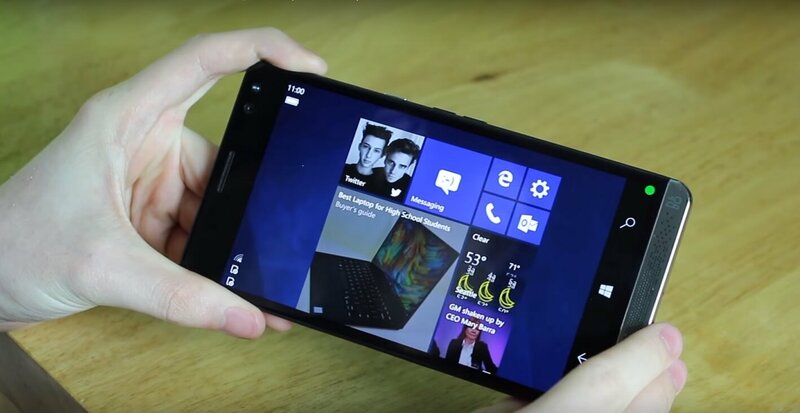 Microsoft will bring major changes to Windows 10 Mobile’s start screen with CShell. Start Screen on Windows 10 Mobile will get large Live tile. Furthermore, the context menu will have more features like the ability to turn Live tiles on and off for specific apps. The landscaped start screen has been enabled on Windows 10 Mobiel with CShell. Zac notes that the landscape version of Windows 10 on phones feels more universal. 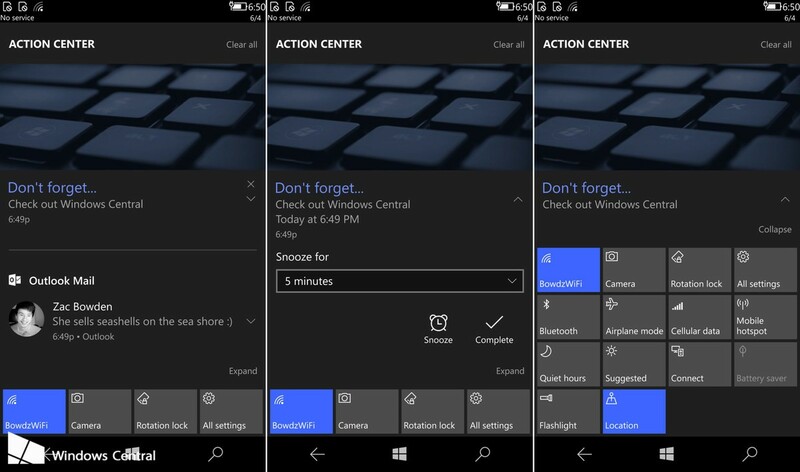 The Windows 10 PC’s Action Center will now be available on Windows 10 Mobile. You will get the same experience on PCs, Phones and Tablets. The Quick Actions button will be available at the bottom of the screen just like the PC version. Now the notification will appear at the top of the screen instead of bottom. You can watch the leaked video here. Do let us know your thoughts in the comments below. I would like to try it now. Someone managed a workaround ? 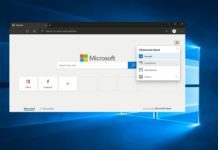 The article says this is coming to W10M but is it really or is this for the new mobile OS they’re working on that we’re told won’t be for our current devices? Note that the build this is from was not intended to be released. It could be installed on current Windows Phone hardware. But it remains to be seen whether Microsoft put this on new hardware or on old. This should be made available for every capable Lumia phone and all other Windows phones. Then aroid and ios convertites would be able to try it out, and it would really help gaining momentum without expecting people to buy new windows phones. Cause honestly I don’t think they would. Previous Windows users are tired of being guinea pigs on never-finished-os-that-stops-getting-updates. Bring back to life those 830s, 930s, etc..